Canadian Prime Minister Justin Trudeau faced pushback this weekend after praising Cuban tyrant Fidel Castro after his death. He then went on to praise Cuba’s healthcare and education system. Castro murdered at least 3,615 opponents and stole the wealth from the working class. Here is Trudeau’s full statement. This didn’t go over well with sane people. 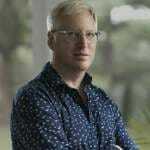 Canadians and Americans mocked him viciously on Twitter and Facebook. On Sunday Justin Trudeau’s video before the Grey Cup football game was booed loudly by the crowd. 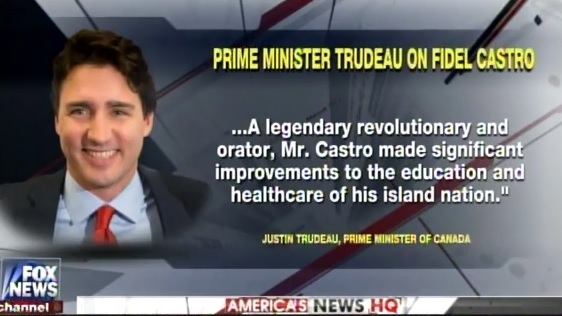 With this in mind Trudeau was forced to cancel attendance to Castro’s funeral on Tuesday. Canadian Prime Minister Justin Trudeau, who faced a storm of criticism from political opponents after praising recently deceased Cuban leader Fidel Castro as a “remarkable,” “larger than life leader who served his people,” has chosen not to attend Castro’s funeral on Tuesday. The BBC reported “Canada will be represented by Governor General David Johnston at a memorial service in Havana,” despite the long-running friendship between Castro and Trudeau’s father, former Canadian Prime Minister Pierre Trudeau. “While a controversial figure, both Mr. Castro’s supporters and detractors recognized his tremendous dedication and love for the Cuban people who had a deep and lasting affection for ‘el Comandante,'” Trudeau added.